Isaac Cruikshank? after George Moutard Woodward. Reasonable Charges or Ducks metamorphosed! 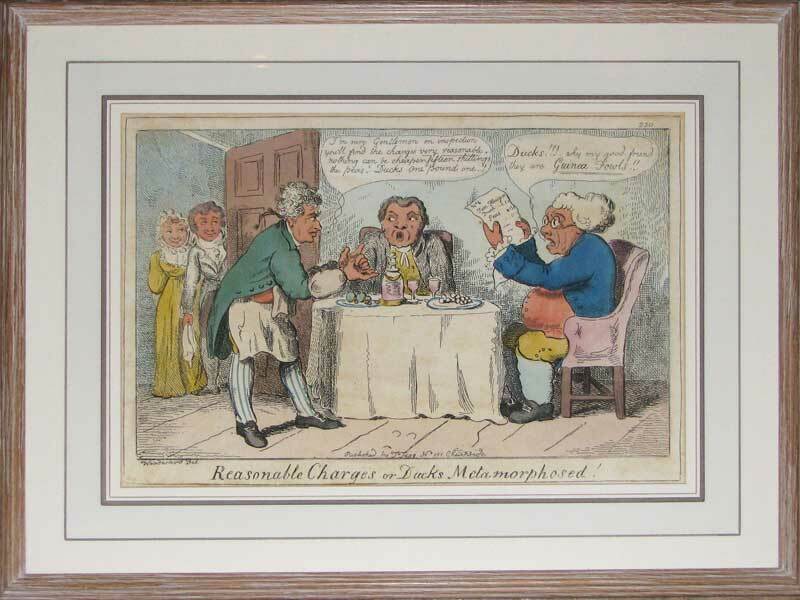 A waiter offers the menu to two men at table, one of whom exclaims that the costly guinea ducks are guinea fowls.